The Demon Tank can also be called a ground anti-air tank, since he got a skill that only works against air units (‘Banish’). This tank is perfect to initiate team attacks with his ‘Lava-Shot’/stun, which has a range of 1,500 and a nice stun duration. Combined with his passive skill ‘Demon Fire’ (which slows targets that got hit by any ability of the Demon Tank), it is hard for the targeted opponent to escape fights. This is especially true for air tanks, which also can be banished. 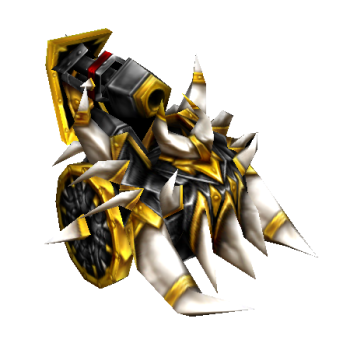 It is comfortable playing this tank with the ‘Teleporter’, since his ultimate is short ranged. Fires a lava ball at a target, stunning it for 2.5 seconds. Banishes an enemy tank. so that he moves 50 % slower and takes 25 % more damage. A tank that gets hit by any Demon Tank ability, gets damaged and slowed for 4 seconds. Draws enemy units towards you and after 0.5s calls upon the fires of hell causing damage to units within range.